Scottsdale Culinary Festival, Arizona’s tastiest fundraiser is set to return to the Scottsdale Civic Center Mall on Saturday, April 8 – Sunday, April 9, 2017. Hosted by the Scottsdale League for the Arts, event highlights include 40 local restaurants, 30 craft breweries, 20 bands, a teen cooking challenge, chef demos, family zone, wine garden, and the Tito’s Handmade Vodka deck. 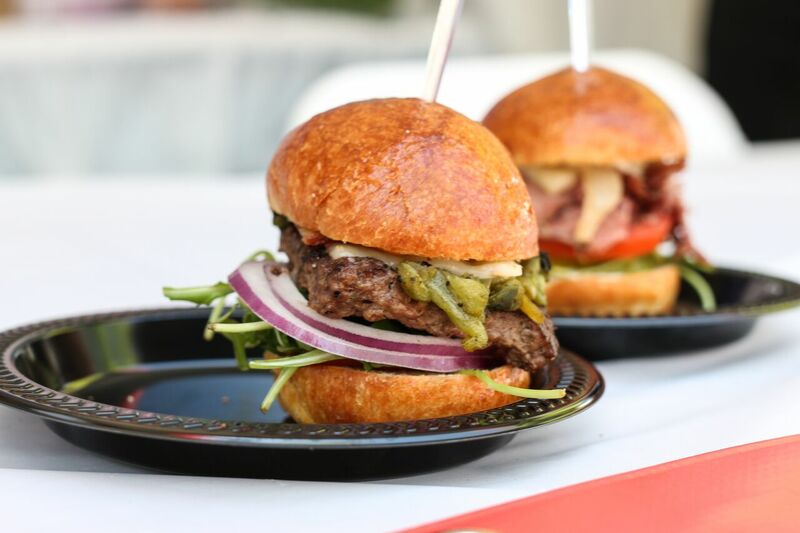 The 2.5-acre Scottsdale Culinary Festival grounds will feature eleven themed zones jam-packed with interactive experiences to taste, sip and celebrate the Arizona food culture. Access to all zone activity is included in the general admission ticket pricing, with the exception of the VIP zone and the Beer Garden. Hosted by Four Peaks Brewing Co., the Beer Garden will feature 200 specialty beers from local and national craft breweries, food from local restaurants and beer games. In the Culinary Experience Tent education is the focus with a mixology demo, chocolate making demo, food photography seminar and urban farming seminar. Or, take a break from the food and enjoy live entertainment on three stage. For the kiddos – fun abounds in the Family Zone where kiddos will enjoy face painting, bouncy houses, carnival games, a magician, crafts and more. All net proceeds raised will support the non-profit Scottsdale League for the Arts in its effort to promote the arts and arts education organizations in the Phoenix metropolitan area, via annual fundraisers such as the Scottsdale Culinary Festival and The Friends of James Beard Benefit Dinner. Since 2002, the League has contributed more than $4 million to numerous organizations such as Ballet Arizona, Childsplay, and Free Arts of Arizona. For a complete list of events, please visit www.scottsdalefest.org.